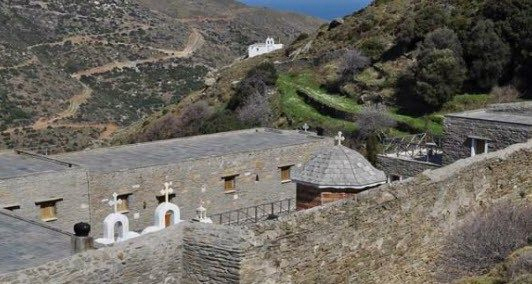 St. Nicholas’s Monastery is located on a hillside north of Chora, 5 km from the village of Apikia, in the area “Ores” (means hours in Greek). The place name relates to the Byzantine “hymn of the Great and Royal Hours” which the island’s patrons and sailors were arriving to attend. In 1540 the monastery was built and in 1760 repairs were carried out. Due to its remote location, the Holy St. Nicholas’s Monastery was an additional base of the Friendship Society of the Cyclades. Inside took place printing and bookbinding operations and a secret school during the Revolution of 1921 against the Turks. The Holy St. Nicholas’s Monastery consists of well-preserved buildings of excellent architecture. 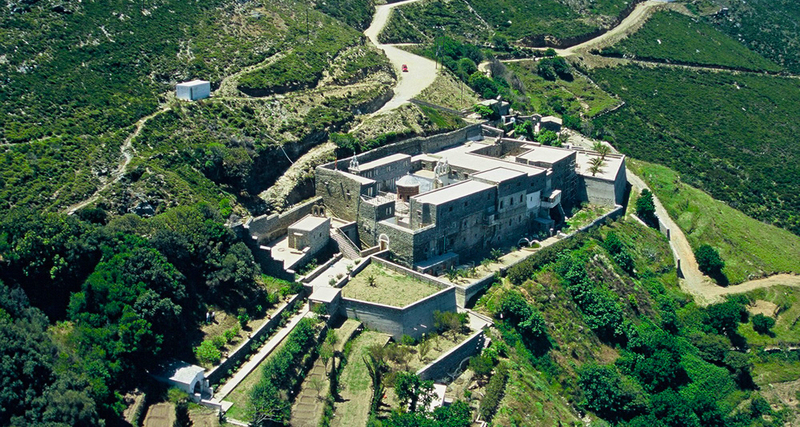 More than 40 of its chapels spread across the island of Andros, 20 of which are within its high walls. One of a kind is the Holy Iconostasis of St. Nicolas. The monastery celebrates on 9 May, 6 December and 20 July. St. Nicholas’s Monastery houses many revered artefacts and sacred bones. 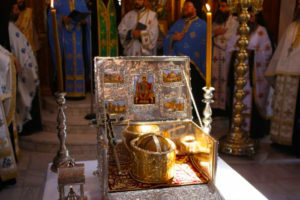 The monastery preserves the holy icon of Virgin Mary Myrovlitisa since the 16th century, after its transfer from the church of the Virgin Mary Blachernon from Constantinople. There is also the silver-sewed icon of Saint Nicolas. Leontia nun crafted the representation of the Saint using gemstones and part of her hair instead of sewing thread. 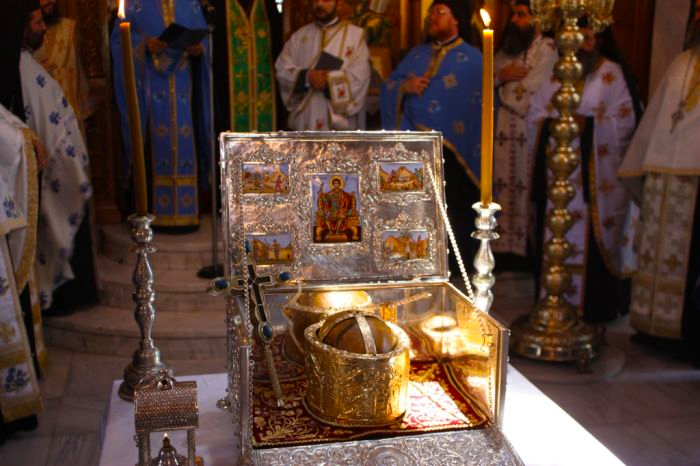 The monastery also protects among others the holy bones of Saint Nicolas, the jaw of St. Kosmas from Aitolia, part of the head of St. Joseph of Arimathea and the thigh of Saint Great-martyr Jacob of Persia.